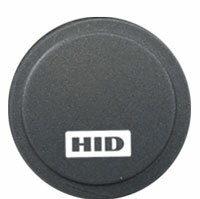 HID's innovative FlexSmart MIFARE Adhesive Tag can turn a plastic ID badge into a MIFARE credential. Effortlessly upgrade from prox, magstripe or barium ferrite technology by simply attaching the small, circular MIFARE Tag to your existing card. The MIFARE Adhesive Tag will also adhere to any non-metallic device, such as a cell phone or PDA, to instantly create a contactless smartcard. HID FlexSmart MIFARE Adhesive Tag is ideal for diverse applications such as access control, cashless vending, public transportation, corporate and campus applications, event ticketing, customer loyalty and photo ID cards.